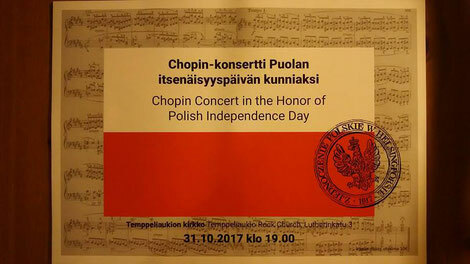 Entrance is free but a donation of €3 (or more!) 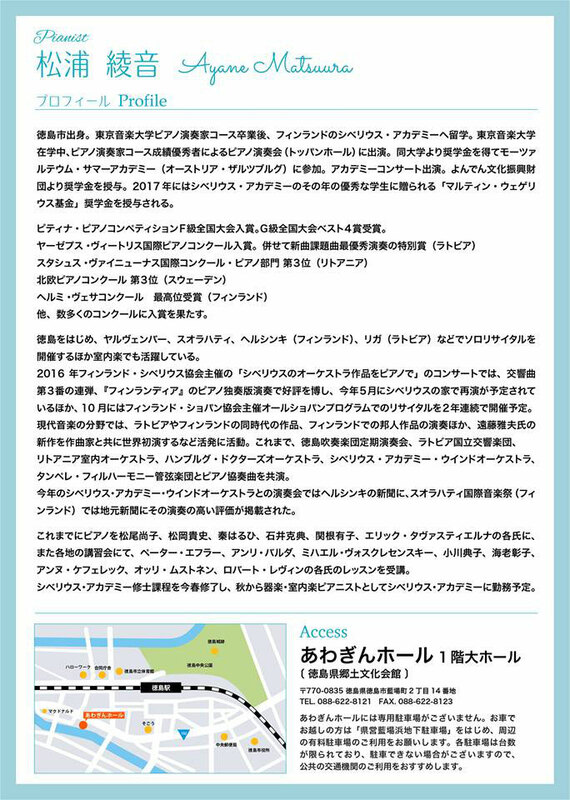 to fund the event is suggested and would be most welcome. 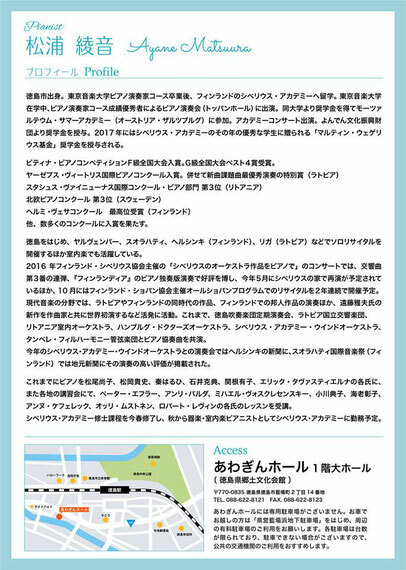 If you have no loose change or coins we gladly accept payment via Visa Electron or Mastercard etc.! 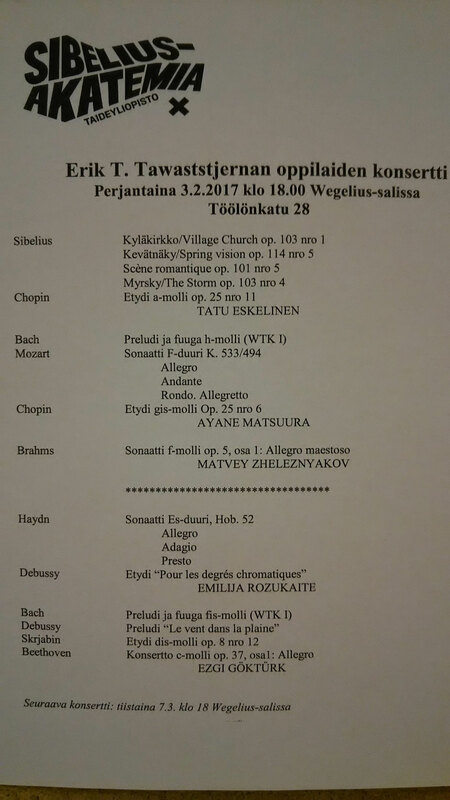 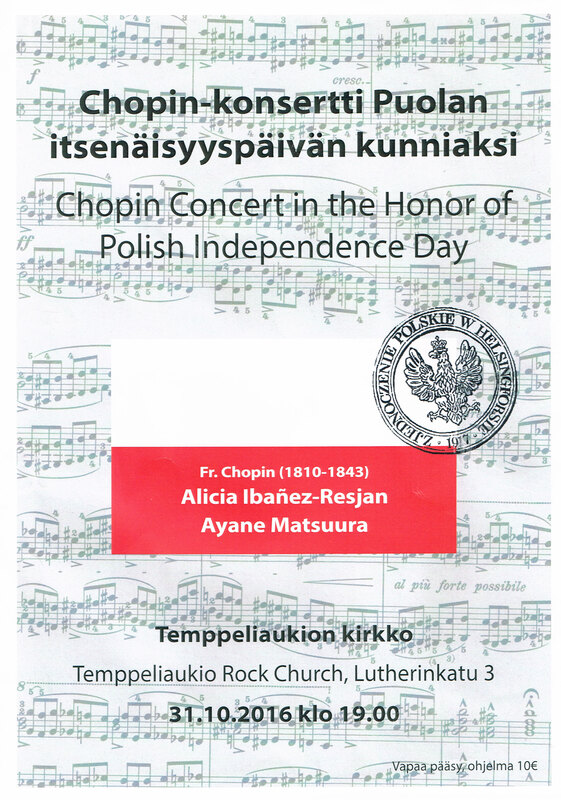 all Chopin program: Prelude 1-4, Fantasy, Nocturne op.27-2, Etudes op.10-8 and op.25-6 and Waltzs op.64-2, op.18. 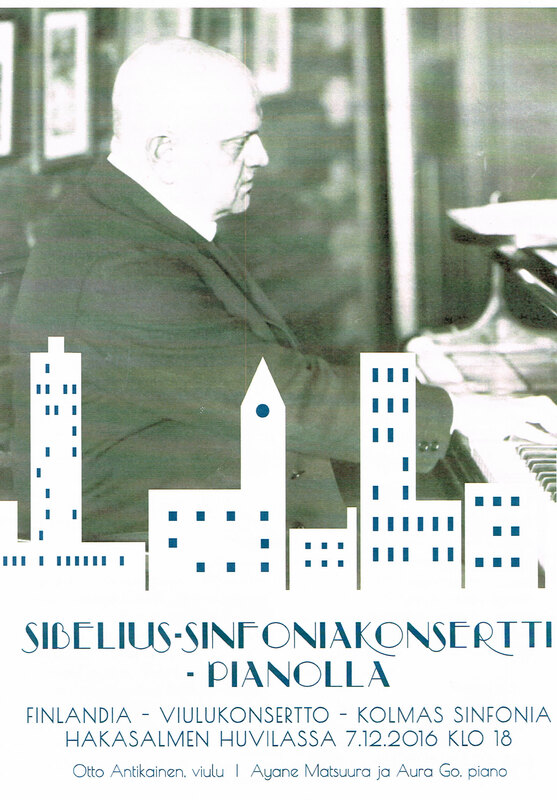 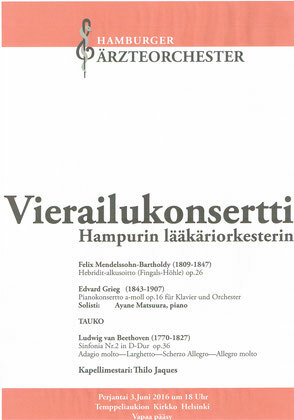 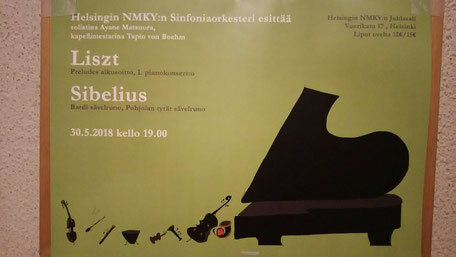 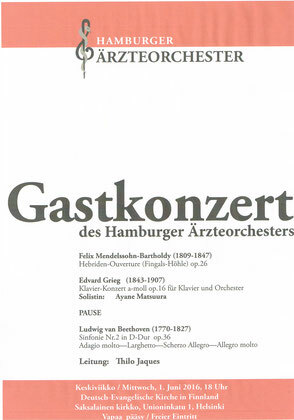 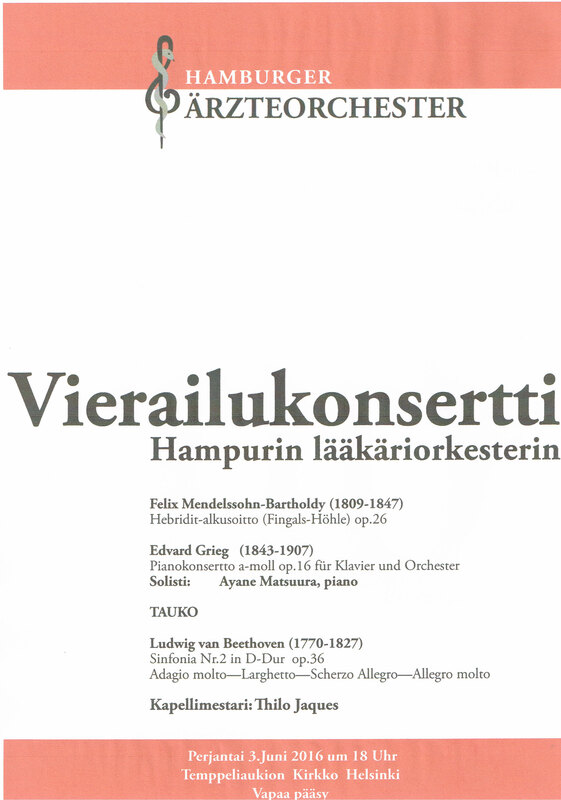 The festive programme planned by conductor Petri Komulainen opens with Magnus Lindberg’s unique and sonorously imaginative Grand Duo, followed by Igor Stravinsky’s Concerto for Piano and Wind Instruments, a delightfully optimistic work. 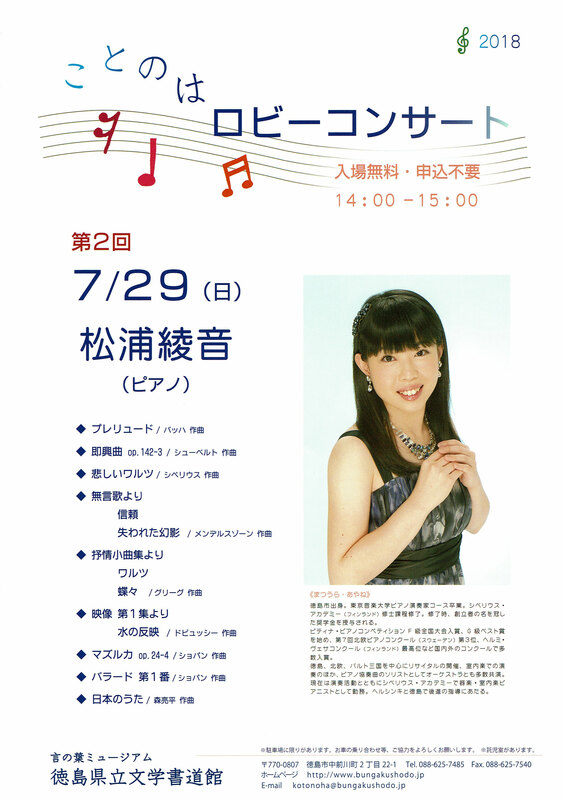 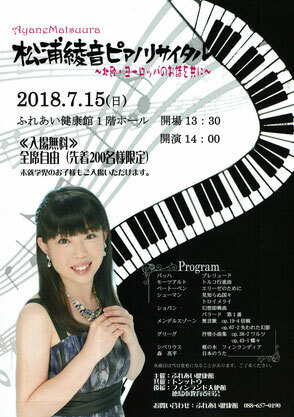 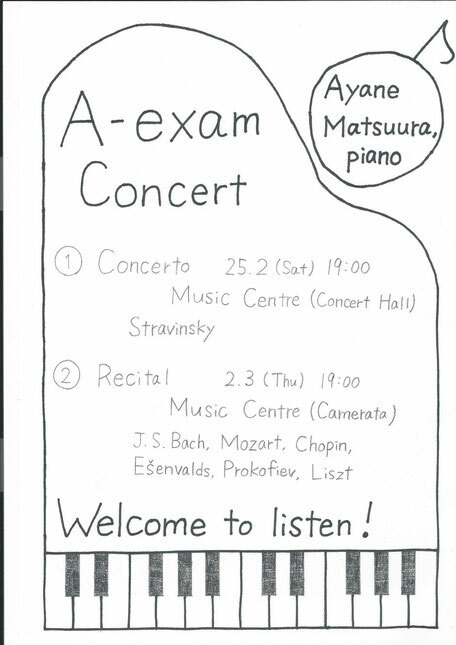 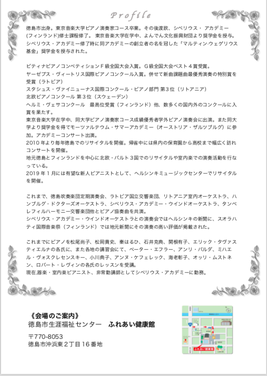 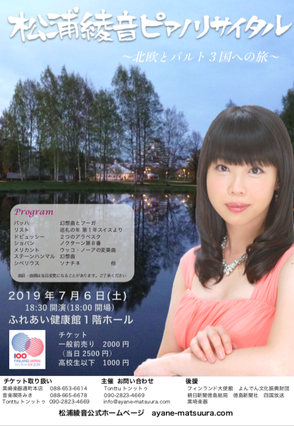 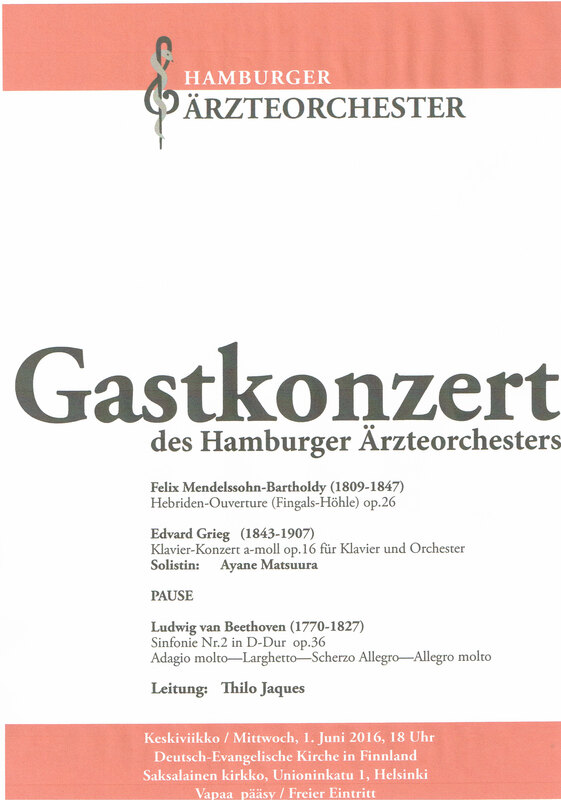 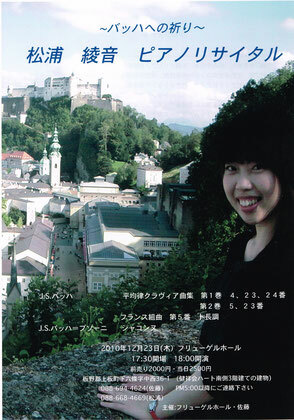 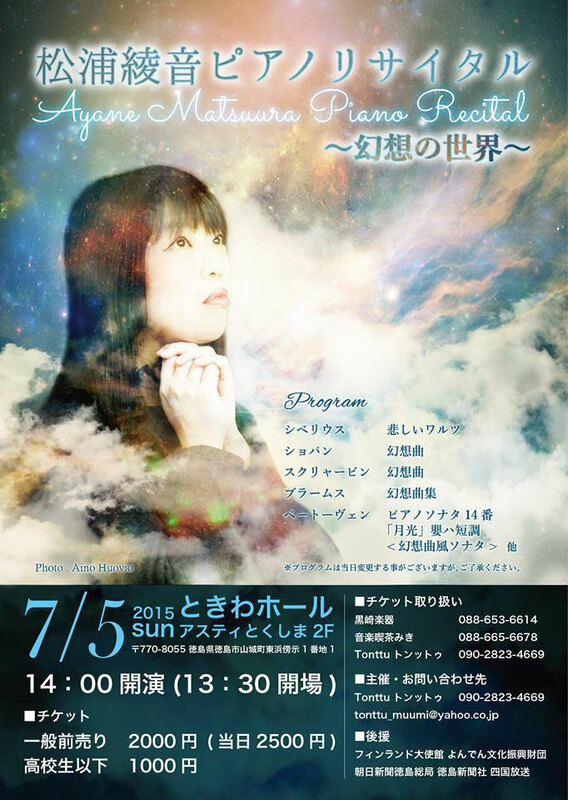 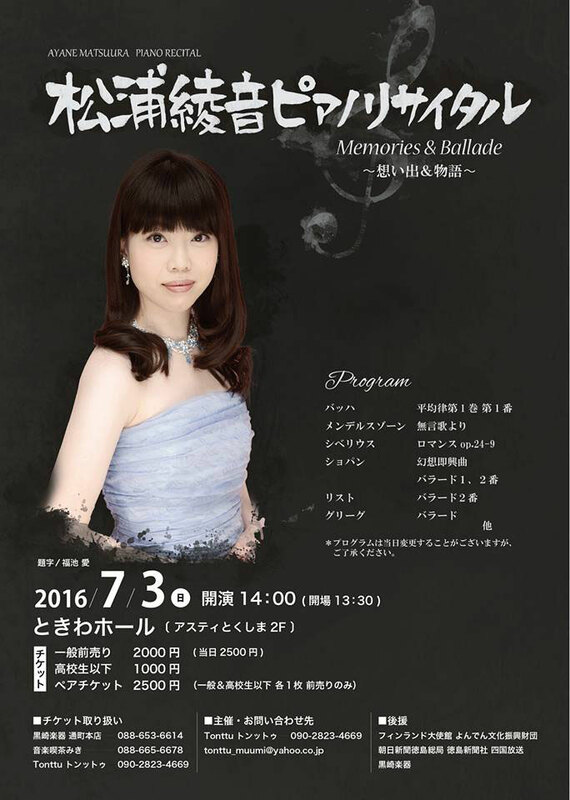 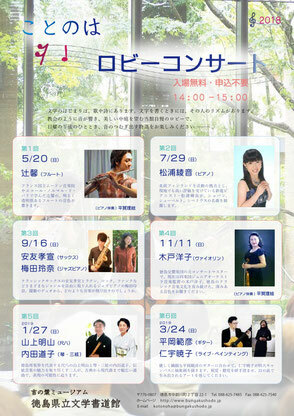 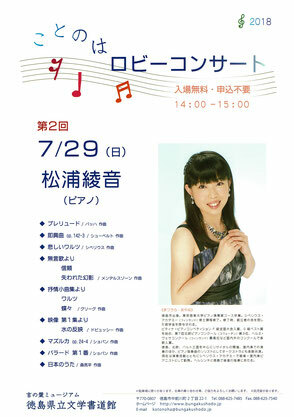 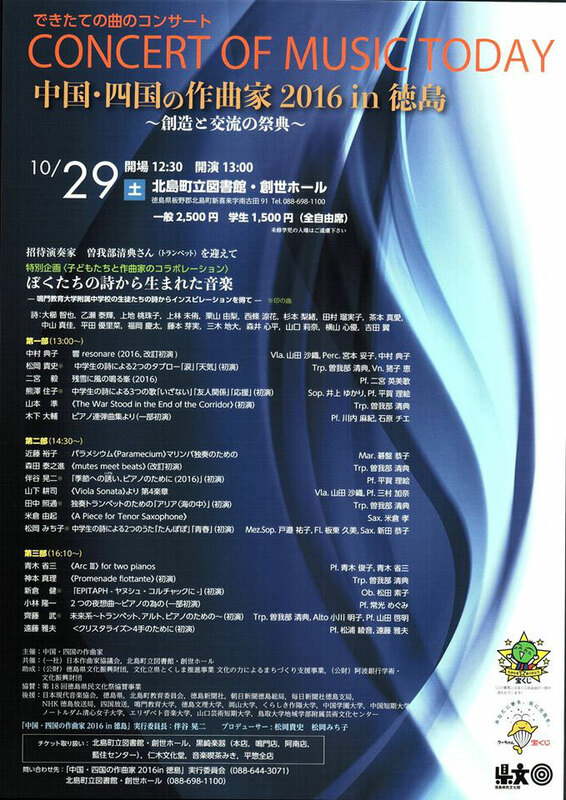 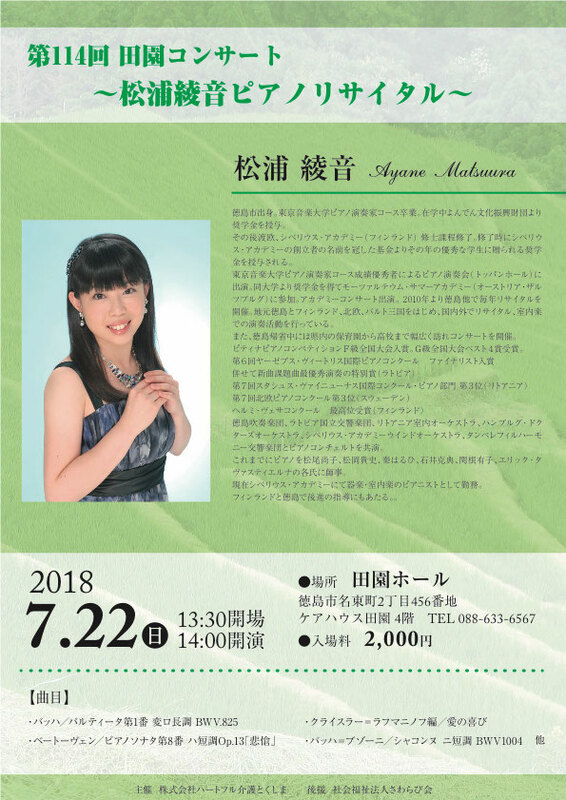 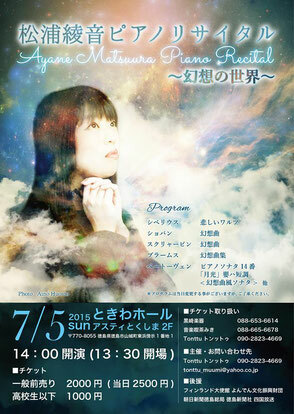 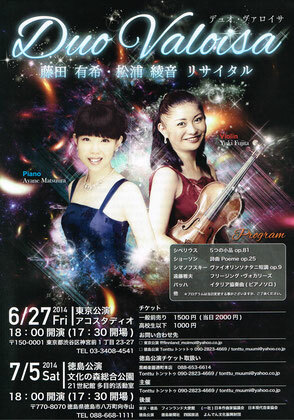 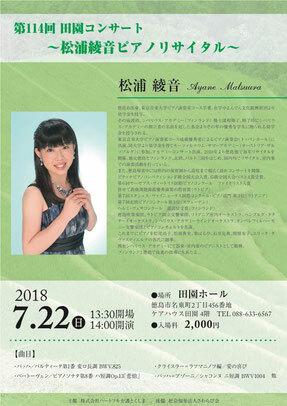 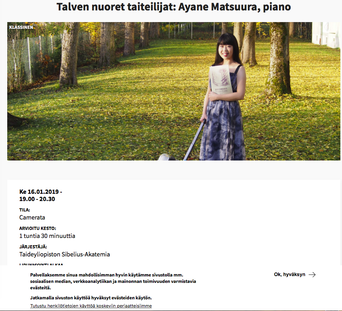 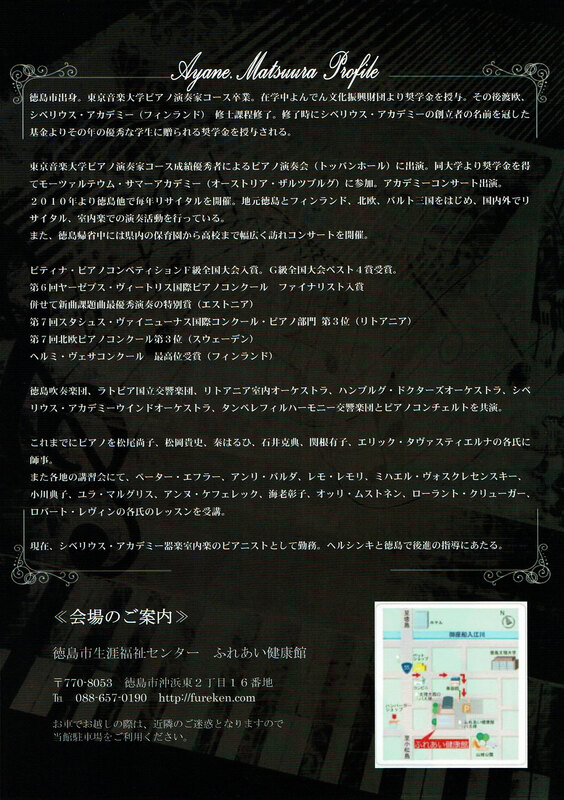 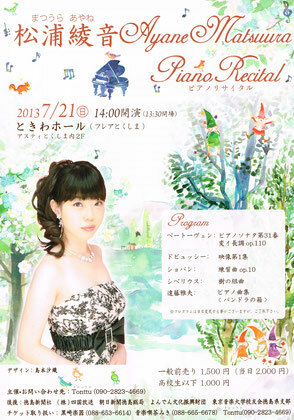 The piano soloist will be Ayane Matsuura, who was chosen from among Academy students through an audition. 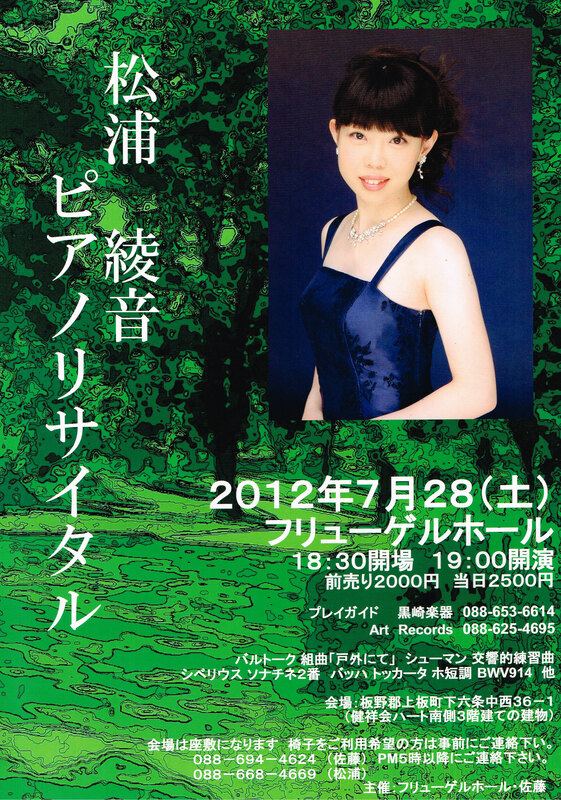 The concert concludes with Toru Takahashi’s wonderful arrangement of Mussorgsky’s Pictures at an Exhibition. 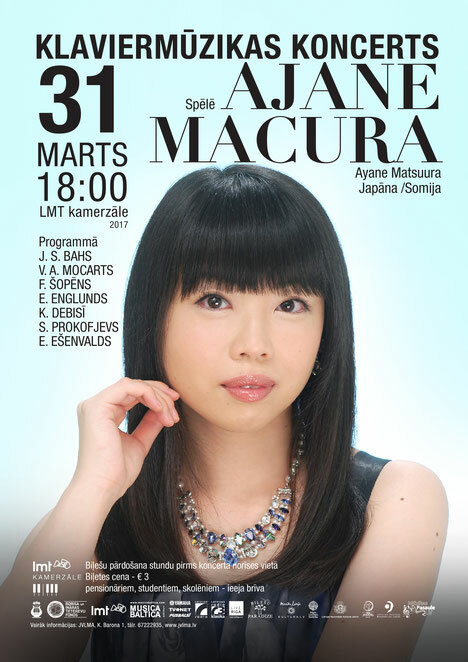 (c) 3.Dec.2016 Ayane Matsuura Official Website All Rights Reserved.